Natural hold - 2. Gives reliable, long-lasting, natural hold and keeps your style flexible. Does not dry out your hair. No stickiness. Helps to provide UV protection. Brushes out easily. 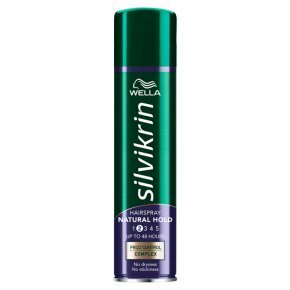 Directions: To finish any style hold the can 20-30cm from your hair and spray evenly while protecting your eyes. For extra volume, spray into the roots with your head upside down.